Premiumtraveltips.com – Travel lover should be ever hear about Maldives right ? Maldives is a place make by so many coral island that round the Laguna, a very beautiful white sand, and one of the cleanest water that will attract every one of us for spending the time in the beach. So it make sense that Maldives is well known provide one of the best panorama that can attract whoever visiting this place. If you are one of the travel lover that love a tropical climate with an outstanding beach, this place must be get into your bucket list. So in here we will tell you travel lovers about 5 thing you must do when you are visiting this island. Selfie with the Sea of Stars ! Yes this is one of the most important thing need to be done when you are visiting Maldives. This place is in Vaadhoo Island. 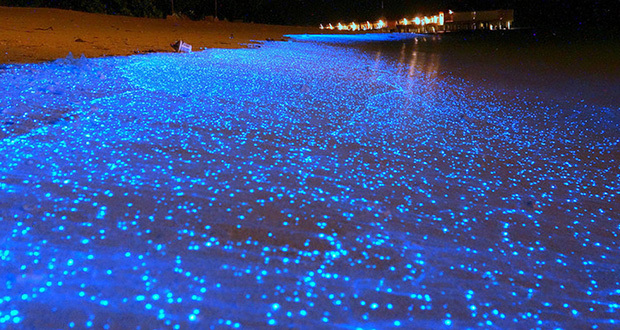 Do not be afraid to touch this beautiful sparkling water sea, because the blue light that bring by the wave to the land on the night is from the biology light that generated by Phytoplankton that having the same side with firefly. Enjoying the unique taste of Maldives food. In here we will find a typical Maldives food that look like an Indian food. Once of the most favorite one is curry. 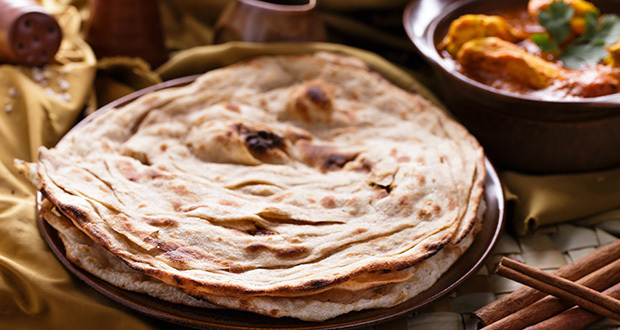 The way we eat the curry is also the same with in Indian, by using Prata Bread. The different is in Maldives they use Tuna and Chicken as their meat. And another most favorite menu in here is Garudhiya Baiy. A traditional Tuna soup that serve with rice and grilled fish and the seasoning like chili and onion. 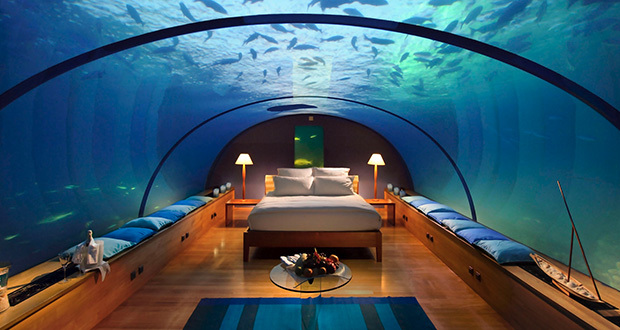 Stay a night with the Shark ! This island provide us one of the most unique hotel to be stay ever. Hotel that build inside the sea and having the glass that through out so we can see the beauty and the life inside the sea while enjoying one of the best moment in life with our beloved one is what they provide for you in here. For you guys that enjoy to have water-sport, in here they will so many activities that we can do in the water while enjoying your vacation in here. so beside from the outstanding view provide by this island, this island also provide one of the best water-sport in the world. So what are you waiting for ? 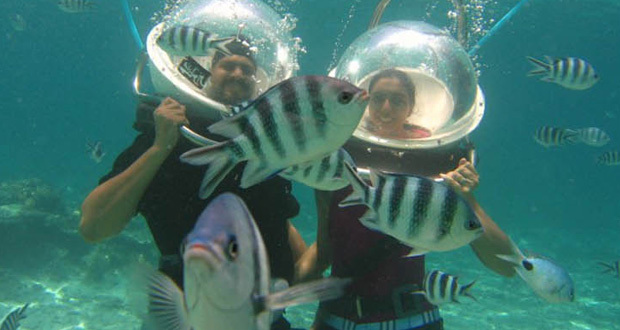 Pack your bag and have an unforgettable memories in Maldives right now.